Charges of dangerous driving causing death have been stayed against a Fort McMurray man arrested at the scene last summer where two pedestrians were run down and killed. The 48-year-old man now faces one count of careless driving under the Traffic Safety Act. The original Criminal Code charges were stayed in Fort McMurray provincial court on Wednesday. Alberta Justice spokesperson ​Dan Laville said Wednesday that police continued to investigate the fatalities after the original charges were laid, and that work included finalizing an accident reconstruction report. "On the basis of the new evidence," Laville said in an email, "the Crown determined the charges of dangerous driving causing death did not meet the prosecution standard of 'reasonable likelihood of conviction.' "
Neither the department nor the Crown would say what the new evidence was. Defence lawyer Lauren Garcia told the court her client will plead not guilty to the careless driving charge. A trial date will be set for later this year. 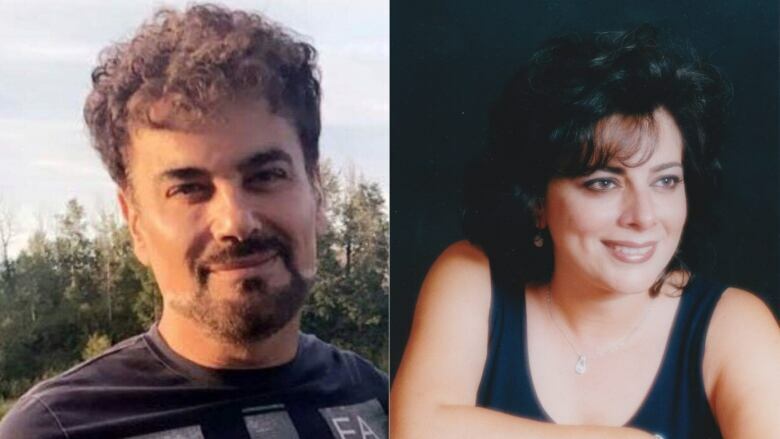 Hadi 'Dani' Eljamal, 56, and Sana Elache, 52, were out for an evening walk in Fort McMurray on Sept. 6, 2017, when they were struck by a SUV on Real Martin Drive. ​Eljamal was a father of three who moved to Canada from Lebanon in 2005. Elache was a wife and mother and was president of the Multicultural Association of Wood Buffalo. Under law, the Crown has one year to recommence those stayed charges.